Start your Padi Scuba Diving Course today! Take your Padi Scuba Courses today! Learning how to scuba dive is your ticket to the ultimate underwater adventure and fun. Padi scuba certification you earn are internationally recognized dive certification PADI, never expires, and allows you to rent or purchase your own diving equipment. Once you start your scuba courses you will soon discover, the fun and excitement you get when you make your first openwater dive. Padi Scuba Courses have a very easy to grasp diving theory and Padi Instructor lead dive skill demonstration, helping you to master dive skills quickly and make you a safe diver. Padi eLearning is the online scuba diving theory. It’s very convenient to take this method of learning and can save you time from learning dive theory with your Padi Instructor. Should you wish a more simple and classic method, take your Padi Dive Theory with one of our Padi Instructors at Easy Divers. Whatever Padi Course you choose, all courses are structured with some dive theory knowledge prior to going into the water. Padi Dive Course theory is always first. This will give you and the course structure and goals. Padi fundamental knowledge foundation, that you will benefit learning and understanding scuba diving knowledge for the diving course. After completing each chapter from your Padi Manual, you will need to complete a Padi Quick Quiz or Padi Knowledge Review. This will test your knowledge from the chapter you have just covered. You need to have completed all chapters of the padi manual, a final exam is also required to cement you knowledge of the padi course. Loaded with diving knowledge from your padi scuba course materials and Padi Instructor, you will begin to practice all the diving skills required to meet padi performance requirements or pass that skills required. Normally practicing skills is completed in confine water, which means a calm body or area of the sea or swimming pool. Your Padi Instructor will help you achieve the scuba skills and they will demonstrate each skill in a slow manner for you to master the skills properly. All padi confined diving scuba skills must be completed for all the sections of practical diving skills for the padi course. Once all confined dive practice skills are mastered. The open water diving part of the course will be conducted in the sea only! Now you have learnt how to demonstrate your scuba skills, you need to put it all together. Your Padi Instructor already knows you can make the padi diving skills correctly from the confined dives. Now in the open water section of the course you just need to do it and prove it to your instructor! Just like before your instructor will ask you, by giving clear underwater hands signals for the scuba skill you need to demonstrate. Now in the sea an open water environment with depth, water movement and possible a little current, you will experience what it’s really like being a Padi Diver. For each padi course, certain open water diving skills may be required. Other Padi Courses have no confine dives just open water diving. Upon completion of Padi Scuba Diving Courses you will receive your Padi Certification Card. Now you can go diving with similar levels or higher more qualified padi divers in similar sea conditions to where you trained to dive. Other Padi Courses, you will need to meet certain prerequisites before joining. Like Padi Advanced or Padi Rescue Diver Course and certain Padi Speciality courses. There is something for everyone in our PADI Dive Centre. PADI Courses include PADI Manual (if available in your language), PADI processing fee & certification upon completion of the padi course. Scuba Diving Equipment including mask/snorkel, BCD and regulator, tanks/cylinders, weights and PADI professional diving instructor. Medical Statement, Divers registering for Padi Scuba Diving Education at our padi dive centre, must sign a medical statement stating they have fitness to scuba dive. This is a self-certifying fitness to dive. Padi Scuba Courses are conducted by Padi Instructors only and who has current padi membership. They cannot teach or represent themselves as PADI Instructors if they are not current. Only these recognised padi instructors are allowed to teach PADI courses. Padi Instructor Specialties are taught by Padi Instructors of that speciality course. It can be a daunting task trying to find the right PADI dive centre that has a proven track record of honesty, integrity, and reliability, while at the same time providing a positive certification and experience for both you and your family. 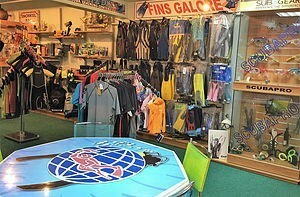 It is always a wise decision to shop around and see what the various dive centres in the area have to offer. I would suggest however, that you do not base your decision on price alone as there will be other factors to consider such as class size, equipment standards, air quality and overall good quality customer satisfaction – customer service. Easy Divers in Protaras Cyprus prides its self on its SAFETY and HIGH Standards while we are the highest Padi Rated Certified Dive Centre in the area. We promise to offer a superior quality and a personalised dive service that will not be matched. No Experience necessary and you don’t even need to be able to swim! During a short dive briefing about safety aspects and some basic skills you need to learn, you will be off for a discover scuba dive underwater in cyprus. In full Scuba Dive gear and under the careful supervision of our qualified PADI Diving Instructor. Discover Scuba Diving time is very limited and you will need to make this anytime you want to dive again. You still want to bea certified Padi Diver! Padi Scuba Diver Course might be the right option for you. Scuba Diver certificate is the “pre-entry” level, that can be complete in 1 day. Thats Right, Just 1 Day!! 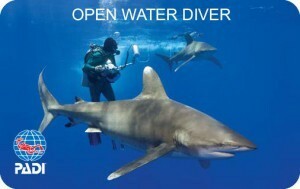 PADI Open Water Diver Course is the world’s most popular scuba diving course. Introducing millions of people around the world to the adventurous diving lifestyle as Padi Diver. You will need to have at least a Padi Open Water course first. Why not take the PADI Adventure Diver course and complete some more fun, varied diving and supervised dives? PADI Adventure Diver course helps you get more out of diving by introducing you to new types of experiences of diving adventures. It helps you build your scuba diving skills and gain more confidence. Get your PADI Advanced Open Water certification in Protaras Cyprus. Padi Advanced Open Water Certification is the natural progression after completing the PADI Open Water Course. It will introduce you to more challenges of diving and give you more experience. Emergency First Response course teaches a simple CPR and first aid. Primary Care (CPR) and Secondary Care (First Aid) skills are taught through a combination of independent study, skill development and scenario practice sessions with a qualified Emergency First Response Instructor. Emergency First Response is an internationally recognised First Aider Course. PADI Rescue Diver course is challenging – but very rewarding course. At the end, most say it’s the best course they have ever taken! The Padi Rescue Diver course cannot be undertaken unless you have a valid First Aid and CPR qualification. We can combine this with your course. The aim of the PADI Rescue Diver course is to make you a better and safer, diver and buddy. You learn to look beyond yourself to consider the safety and well-being of other divers. Ready for a challenge? You want to be a Padi Pro? Ready for transfomation to a Life Changing Experiences? The PADI Divemasters Course is the first run on the Pro leadership ladder in the PADI System of Professional Diver Education. The training and experience you gain through the PADI Divemaster Course helps shape your abilities and attitude toward becoming a professional level diving educator. PADI Assistant Instructor is the start of the PADI Instructor Development process. During the AI course you will apply your diving knowledge and skills while learning to use the PADI System of Diver Education, both in the classroom and in the water. As a PADI Assistant Instructor you can give classroom and pool presentations and evaluate PADI Open Water programme surface skills under the supervision of your PADI Instructor. In addition, it further develops your leadership and teaching abilities to the instructor level and prepares you to teach PADI programs. Through independent study, classroom sessions and practical diving applications, candidates learn to construct effective teaching presentations and conduct PADI skills and programs.